If we learned one thing this past year, it’s that the Mayans do not have a lock on failing to predict the Apocalypse. Democrats do. From the moment President Donald J. Trump hit 270 electoral votes, through net neutrality repeal and tax cuts, Democrats have predicted that the world would end. Ever since The Day Democrats Reached Out, I’ve been watching the hilarious hyperbolic reactions to every Trump tweet, and each piece of lint that flutters through the Oval Office. The Democrat reaction to every single move by the Trump Administration amounts to, “We’re all gonna die”. Remember the mass deportation of Mexicans? Neither do I. Yet we were all gonna die. My Democrat friends here in Southern Wackyfornia told me that their maids and nannies were terrified that they were going to be rounded up because Trump was a racist. Remember the mass deportation of Muslims? Neither do I. Yet we were all gonna die. During the March of the Week Spectacular that occurred early in 2017, Democrats clogged airports to protest the 90-day visa hold – a policy enacted merely to ensure the safety of Americans. Remember how Trump’s election empowered hate groups to go and beat innocent minorities, and that we were all gonna die? Neither do I. What I do remember is the leftist group ANTIFA, whose very name epitomizes the phrase “unintended irony”, beating the crap out of innocent Americans and starting riots every chance they got – oh, but usually to shut down free speech. It was so bad in Berkeley that even the Washington Post couldn’t ignore the truth. Remember how Trump is Hitler and Steve Bannon is a white nationalist – and that we were all gonna die? Neither do I. I never quite understood how Trump could be Hitler given his staunch support of Israel, and having the courage to do what no other President did by acknowledging Jerusalem as Israel’s capital. Meanwhile, the Left remains determined to divide the country via identity politics, and Bannon made his position clear. Remember how we were all going to lose our healthcare and, literally, we were all gonna die? Neither do I. The spineless Republdemocrins couldn’t get their act together to repeal and replace Obummercare. They did manage to do the right thing, and repeal the requirement forcing Americans to buy a product. 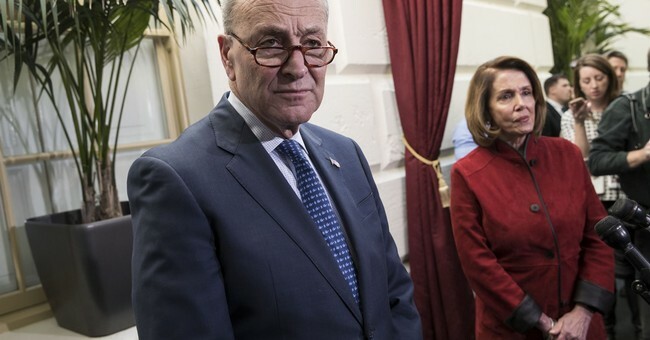 Nevertheless, Democrats were terrified that their heavily-subsidized health insurance would be taken away, leaving them wandering the streets, cold and hungry, begging for change to afford health care. Remember how the Dow Futures tanked the night of the election, and the stock market was going to crash and we were all gonna die. Neither do I. I’m too busy counting my shillings from 2017’s 23% increase in the S&P 500. Remember how Reagan Trump was going to blow us all up in a nuclear war with the Soviet Union North Korea, and that this time we most certainly were all gonna die. Neither do I. What I do recall is the first President in a generation not caving to the extortive demands of Dictator Weeble, while making it clear to the entire world that America would fight strength with strength, and that President Apology BowToHisBetters was no longer in charge. I was not a Trump supporter and, to be frank, I’m still not wild about him because he isn’t consistently standing up for Conservative and Libertarian values. However, he fulfilled his promise to Ted Cruz and nominated a proper textualist to the Supreme Court. He signed a monumental tax law which, if corporations behave as I expect, should result in hundreds of billions of dollars being poured into the economy via capital spending and increased shareholder dividends. He is strong on Israel – the only democracy in the Middle East and a lifelong friend and ally of the United States. His recognition of Jerusalem, and Ambassador Nikki Haley’s courageous vote to support it in the UN, along with a $285 million cut in UN support, are big wins. There have been no chemical weapons used in Syria since the U.S. cruise missile attack in April – demonstrating the weakness of Obama’s “red line” policy. ISIS has been dealt repeated setbacks. Trump got Saudi Arabia to back off its goods blockade to Yemen, which was dealing with a humanitarian crisis. Americans have put their confidence behind the President in regards to the economy. The consumer confidence index, the manufacturing index, the industrial production index, construction spending, e-commerce retail sales, real manufacturing and trade industries sales, and countless other metrics are rising. This is all based on optimism. Very little policy has actually been implemented. GDP growth in a non-crisis or recovery economy is where it should be – 3.2%. The biggest win, however, is repeatedly exposing fake news. The utterly disingenuous news media has been repeatedly disgraced. They aren’t even pretending anymore. Never in American history has the media been as transparently partisan, and they are paying for it. Finally, normal Americans have someone who doesn’t look down on them. One can argue that Trump is unpredictable, inexperienced, has made countless errors, and the White House is a disaster – and all of those arguments hold water. However, there is no denying that Trump is what the average America needs – a fighter. As for the Democrats, their world has certainly ended, but for the rest of America, we’re just getting started.